Apple yesterday has launched the new Apple iPhone 8 Plus along with the iPhone 8 and the new iPhone X. While the new Apple iPhone X is called as the future of smartphones what has really changed in the other 2 models. Apple first shared the iPhone 8 and iPhone 8 Plus models which just seem to be incremental updates and nothing extraordinary compared to older generation of iPhones. Until they shared the iPhone X which looks more evolved and a totally new product from Cupertino tech giant. Is the Apple iPhone 8 Plus a significant upgrade when compared to the last years Apple iPhone 7 Plus, lets do a quick specs comparison and find out what has changed in the new iPhone 8. As far as the design goes it looks same as the iPhone 7 Plus but now comes with toughened glass back compared to older iPhone. The smartphone also supports wireless charging with Qi technology, which was not present on the iPhone 7 Plus. But is the upgrade significant that Apple has called the new iPhone as iPhone 8 Plus instead of iPhone 7s Plus. To sum it up there are a couple of changes in the iPhone 8 Plus when compared to the iPhone 7 Plus. A faster A11 processor which can offer up to 25% boost in performance. Minimum Storage is now 64 GB compared to the 32 GB on the iPhone 7 Plus. iPhone 8 Plus weighs almost 15 grams more and has 2 mm extra thickness compared to the iPhone 7 Plus. There are 3 color options which are available now and the Rose gold looks more like maple or light copper. The iPhone 8 Plus comes with a toughened glass back instead of the metal. The new smartphone comes with 60 FPS 4K support, and 240 FPS slow-motion videos support. The new iPhone 8 Plus also supports fast charging and it has support for Wireless charging. Apple says – Up to 50% charge in 30 minutes. What has stayed same when we compare iPhone 8 Plus with the iPhone 7 Plus. Display size and resolution are the same on both the devices. The camera is almost similar though the new camera gets improved Image signal processing from Apple A11 Bionic Chip. The update is more of an increment compared to what Apple has done with the iPhone X (iPhone 10). The new iPhone 8 Plus seems to be a better version of the iPhone 7 plus, we don’t see any reason for people owning an iPhone 7 plus to upgrade to iPhone 8 Plus. The event started on time at the newly opened Steve Jobs Theater at the Apple Park. It is an amazing feat of engineering and is state of the art. Apple team will start moving to new Apple office this year. The park is spread over 175 acres and has more than 9000 trees. Also, the park uses 100% renewable energy. It also comes with a visitor center and also a very large Apple store inside the campus to explore new products. Tim Cook started the Apple event at the new Steve Jobs Theater with teary eyes. The event started with remembering Steve Jobs and Tim Cook said they have dedicated this theater to him and as he loved new products and new product launches like this one. Tim said, “Steve though a lot about the workplace and where talented people should work”. So he started the work on the Apple Park almost 10 years earlier and today the park is open and we honor him. Apple first announced the new Apple Watch Series 3 and then they shared the launch of new Apple TV 4K which comes with HDR support. The company first announced the Apple watch series 3 which comes with cellular connectivity. You can read all the details about the Apple Watch Series 3 here. Apple also announced the Apple TV 4K with HDR and comes with the A10X which offers 2X performance compared to the current generation and also it has GPU which is 4X faster. All the movies on iTunes which are purchased by customers in HD will be upgraded to 4K HDR. Apple is also partnering with Netflix and HBO to bring in 4K HDR content. Apple will also bring live sports on the Apple TV. The Apple TV 4K starts at $179. Apple introduced the new 10th Anniversary Apple iPhone 8 at the event. Tim Cook shared about all the innovations for last 10 years and a brief journey of how the Apple iPhone has evolved. The new Apple iPhone 8 comes with the most durable glass and is also sealed for water and dust resistant. The new mobiles come with 4.7 inches and 5.5 Inch screen size. Notably, the iPhone 8 and the iPhone 8 plus looks exactly same as the last years Apple iPhone 7 and iPhone 7 Plus and there is nothing new as far as the design goes. The display is also retina but it comes with the same 16:9 aspect ratio. It is nothing like the 18:9 full vision display which is available on the LG V30 and the Samsung Galaxy Note 8. The new Apple iPhone 8 comes with the Apple A11 Bionic chipset with 64 Bit design and comes with 6 Core design. It comes with 25% faster in comparison to the Apple A10 chipset. The iPhone 8 comes with a 12 MP rear camera sensor and also has Optical image stabilization. The Apple iPhone 8 Plus comes with 12 Mp Dual cameras with f/1.8 aperture and f/2.8 aperture telephoto lens. Further, the camera on the iPhone 8 Plus is really incredible, it comes with the ability to adjust based on different scene settings. In fact, the 8 Plus offers the most amazing video cameras on any smartphone. Now you can shoot better 4K videos at 60 FPS and also can shoot slow motion at 1080P at 240 FPS. The camera on the iPhone 8 Plus comes with AR support and new Apps can work with the AR technology. The new iPhone comes with Quad LED Flash. AR Apps are getting better and new exciting AR apps and games are coming to iOS. Apple showcased a new AR game from a new Chinese developer (Directive Games) which offers an immersive experience. I am not too much into AR games as of yet but still looked cool. The Apple iPhone 8 and iPhone 8 Plus comes with the wireless charging support. The iPhone comes with the Qi wireless charging technology and the new iPhone will work with the Qi chargers from other companies like Belkin. Also, it comes with the Bluetooth 5.0 support. The Apple iPhone 8 comes with 64 GB of minimum storage and will start at $699. On the other hand, the Apple iPhone 8 Plus costs $799. The smartphones will be available on 15th September 2017 and will start shipping from 21st September. 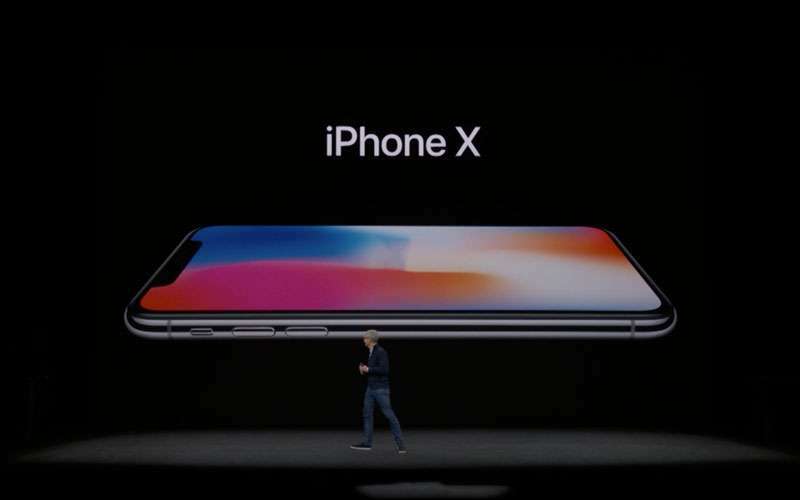 However, the real deal is the All new Apple iPhone X which is launched by Apple along with the iPhone 8 and 8 Plus. You can read more about the Apple iPhone X here. Apple has officially started taking pre-orders for the latest iPhone 8 and 8 Plus smartphones in India. Almost all the e-commerce portals such as Amazon India, Flipkart, Jio.com are accepting pre-orders for both the smartphone. The Apple iPhone 8 is priced at Rs. 64,000 for the 64 GB model and Rs. 77,000 for the 256 GB model. The iPhone 8 Plus costs Rs. 73,000 for the 64 GB model, and 86,000 for the 256 GB option. As said earlier, most of the e-commerce sites in taking pre-orders of the iPhone 8 and 8 Plus. So, you can head over to either Flipkart, Amazon India or Jio.com to pre-order any of the smartphones. Also, Reliance Jio is accepting pre-orders in its Reliance Digital retail stores, and some other third party sellers taking pre-orders as well. For the first time in India, we are looking at an upgrade offer from a telecom operator. Reliance Jio has launched a dedicated offer for the new iPhones, where you will get flat 70% cashback when you upgrade your iPhone to a new one after one year. Also, the operator has launched a dedicated tariff of Rs. 799 which gives 3 GB data per day for 28 days. This tariff plan is available for both prepaid and postpaid customers of Reliance Jio. Along with the Jio offer, Citi Bank is offering flat Rs. 10,000 cashback if you purchase the device with a Citi Bank credit card. The best way to get an iPhone 8 or 8 Plus is to head over to the nearest Reliance Digital store and purchase it with a Citi bank credit card. However, the cashback will be processed within 90 days from the date of purchase. You can also pre-order an iPhone 8 or 8 Plus on MyJio application. For the users who pre-booked the device online, the shipping will start on September 29, which is just a week away. A low response for Apple iPhone 8 and 8 Plus in the global market? Every year when Apple releases an iPhone, Apple stores across the globe will fill up with big queues. However, this year, that isn’t the case. And in India also, there are decidedly fewer people excited about the iPhone 8 and 8 Plus. Several reports from international media claim that there’s absolutely zero queues or less queue in front of major Apple stores in big countries. Is this due to the delayed Apple iPhone X release? Probably yes. The Apple iPhone 8 and 8 Plus are marginal upgrades to Apple iPhone 7 and 7 Plus, which could be the reason why customers are not interested in purchasing them. Whereas the Apple iPhone X is a massive upgrade in the iPhone history ever with an edge-to-edge screen, new iOS 11 tricks, Face ID feature, etc. A recent report by KGI securities suggests that the iPhone X pre-orders can exceed 50 million units and could be one of the largest for the Cupertino giant. For the unknown, the iPhone X will start shipping from November 3 in almost all the countries where Apple sells the iPhones. The iPhone X is priced at Rs. 89,000 in India. Some of the international YouTubers already got their hands, and one among them is Jerry Rig, who runs a YouTube channel named JerryRigEverything. I, he tests almost every popular smartphone’s durability including scratch test, flame test, and bend test. Previously, he is the one who opened the iPhone 6 Plus bend gate issue. And the latest Apple iPhone 8 went through his tests, and guess what, it passed all his tests and emerged victoriously. He also awarded that the iPhone 8 is the most durable iPhone ever, even though it has a glass back. Firstly, he tested the display scratches level, and the screen scratched at level 6, which is evident on any smartphone. After that, he checked the camera lens glass and LED flash, and guess what; Apple integrated both of them into the rear glass panel. The glass back is not prone to scratches with coins or keychains. Apple did a great job in building the iPhone 8. The display is an LCD panel, meaning it will recover the pixels after a slight fire attack. Lastly, the iPhone did not flinge a bit in the bend test. Only a few smartphones sustain his bend test, and the iPhone 8 is one of them. 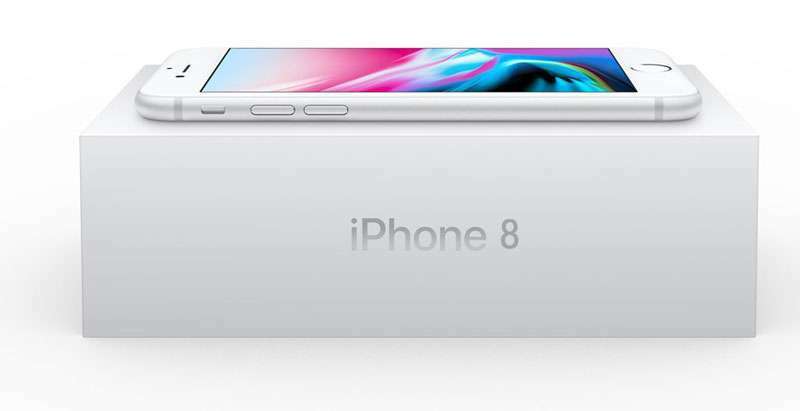 The Apple iPhone 8 buzz is hitting everybody now with the products shipping to customers in several international markets, and they’re now revealing various details about the smartphones. Also, the iPhone 8 and 8 Plus are the most unpopular iPhones ever with no queues in front of the Apple stores in several countries. There are few more details about the iPhone 8 and 8 Plus came out yesterday, including the DxOMark scores for the cameras, and a teardown revealed more internal details of both the smartphones. Check out new details about the Apple iPhone 8 and 8 Plus surrounding the web. Like every year, DxOMark, the credible source which tests the camera performance in a smartphone and scales out a score out of 100 has rated the Apple iPhone 8 Plus’ camera as the best in any smartphone. The organization gave iPhone 8 Plus a score of 94, highest for any smartphone, and the iPhone 8 settled down with a score of 92, second highest in the list. DxOMark also noted that the “Images captured outdoors with the iPhone 8 Plus are generally stunning, with excellent detail preservation, accurate colour, and impressive dynamic range. When compared with the iPhone 7 series, the iPhone 8 and 8 Plus do a better job of capturing HDR scenes. In addition, DxOMark also praised Apple for tweaking the performance of cameras on both the smartphones. Also, the iPhone 8 and 8 Plus beat the HTC U11 and Google Pixels in terms of the overall score, and we’re already excited to see the cameras in the upcoming Pixel 2 lineup of smartphones. iFixit, who is famous for tearing down Apple iPhones in the past has done the same this year as well. The hardware company managed to sneak into the latest Apple iPhone 8 and revealed internal details about the iPhone 8. Apple never reveals details about the hardware used on its smartphones, never ever by any chance. And its iFixit who reveals details about the hardware of the iPhones every year. At the launch event of the iPhone 8, the Cupertino based company confirmed that the iPhone 8 features a smaller battery than the iPhone 7. iFixit also revealed the same. The iPhone 8 has a 3.82 V, 1821mAh battery inside it, which is smaller than the iPhone 7’s 1960mAh battery. Besides the smaller battery, iFixit also revealed details about the LTE modem used in the smartphone and even the RAM capacity. Like last year’s iPhone 7. The iPhone 8 also features just 2GB of RAM but paired with Apple A11 Bionic chipset, 2GB RAM would be more than enough. The Apple iPhone 8 has a Qualcomm MDM9656 Snapdragon X16 LTE modem for LTE speeds. Also, iFixit found out details about the internal storage module. Apple has used a Toshiba TSBL227VC3759 64GB NAND flash storage, Qualcomm WTR5975 Gigabit LTE RF transceiver and PMD9655 PMIC, and its own Apple’s WiFi/Bluetooth/FM radio module in the smartphone. Furthermore, iFixit confirmed that the iPhone 8 is an IP67 certified device. The wireless charging technology implemented by Apple uses the oscillating magnetic field to generate an alternating current, which further converts into direct charge and charges the smartphone. iFixit also confirmed that it will be tearing down the latest iPhone 8 Plus, and Apple Watch 3 series as well in coming days.